You probably do it. It might be ingrained from when you were a kid, and now it’s almost automatic. You see the flash of lightning – and you immediately start counting the seconds till it thunders. But does counting really get you a good estimate for how far away the lightning is? Is this one of those old wives’ tales, or is it actually based on science? In this case, we have physics to thank for this quick and easy – and pretty accurate – calculation. So what happens when a big storm rolls in? The lightning you see is the discharge of electricity that travels between clouds or to the ground. The thunder you hear is the rapid expansion of the air in response to the lightning’s intense heat. If you’re really close to the lightning, you will see it and hear the thunder simultaneously. But when it’s far away, you see and hear the event at different times. That’s because light travels much faster than sound. Think of sitting in the nosebleed seats at a baseball game. You see the batter hit the ball a second before you hear the crack of the bat. When observing an event on Earth, you see things almost the instant they happen – the speed of light is so fast you can’t even detect the travel time. The speed of sound is much slower, which gives us time to do our calculation. Let’s simplify the speed equation: Sound travels a little over 700 miles per hour, or 700 miles in 3,600 seconds. That means 7 miles traveled every 36 seconds. Make this even easier and round down to 7 miles every 35 seconds… or 1 mile every 5 seconds! 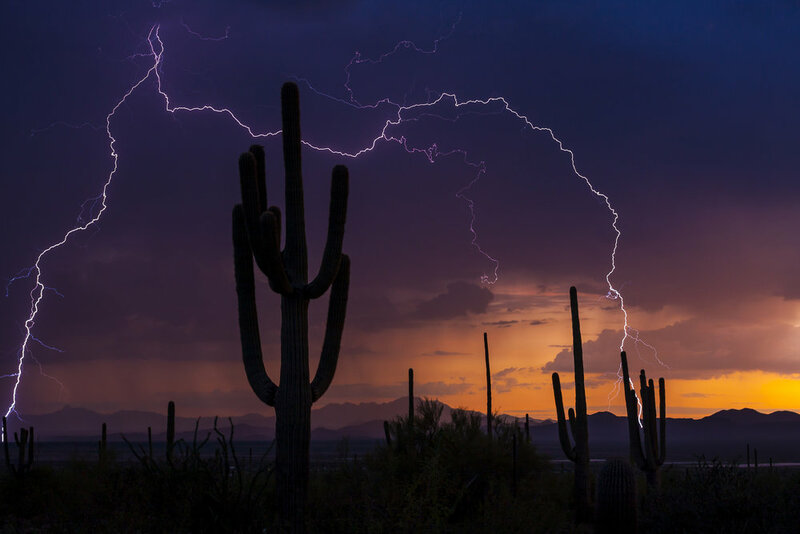 Count to 5: If you hear thunder, the lightning occurred within 1 mile. Now that you know how far away that lightning strike was, is it far enough to be a safe distance from the storm? That’s actually a trick question. Thunder can be heard up to 25 miles away, and lightning strikes have been documented to occur as far as 25 miles from thunderstorms – known as a “bolt from the blue.” So if you can hear thunder, you’re close enough to be hit by lightning, and sheltering indoors or in an enclosed car is your safest bet. And don’t count on the folk wisdom that lightning never strikes the same place twice to protect you. That one is just plain wrong. For example, lightning strikes the top of the Empire State Building an average of 23 times per year. Newer PostJust how gross are airplane cabins really? Older PostWhy do our ears pop?